Jio users can check their MyJio account to find out whether they have received free data or not. Jio took the telecom sector by storm and it keeps forcing other telecom operators to lower the cost of their offerings as well. Now, the telco is back with a new offer under which some Jio subscribers can avail an additional 10GB 4G data for free. It’s not confirmed how Jio is selecting users for giving away free data but one can check their MyJio account to find out whether they have received it or not. 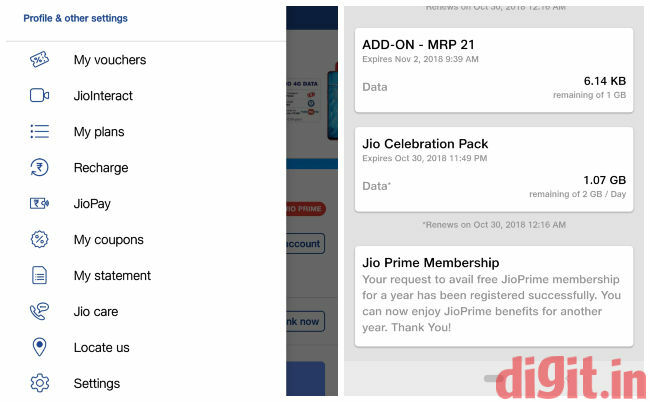 To check, one needs to navigate to ‘My Plans’ section in their MyJio account and if they have received the free data, it will be listed as Jio Celebration Pack. One should note that 2GB of the 10GB free data is credited into a user’s account every day for five consecutive days. They can check how much of that data is remaining and when it will expire in the aforementioned section. One cannot directly use the data as it kicks in when the users’ standard daily data is depleted. Jio recently announced its “Jio Diwali 100% Cashback Offer” and a new unlimited annual plan. Under the Jio Diwali 100% Cashback Offer, one can avail a 100 percent cashback when recharging with prepaid plans priced at Rs 149 and above. The cashback will be credited in the form of Jio vouchers and will be visible under the My Coupons section in the user’s MyJio app. Each coupon can be redeemed against purchases made at Reliance Digital or MyJio stores against an invoice value of Rs 5,000 or above. The offer is valid till November 30, 2018, and the coupons received during this offer must be redeemed on or before December 31, 2018. The new annual prepaid plan by Jio is priced at Rs 1,699 with a validity of 365 days. After recharging, users will get to use 1.5 GB of daily high-speed 4G data, along with unlimited voice calls, and 100 SMS/day. 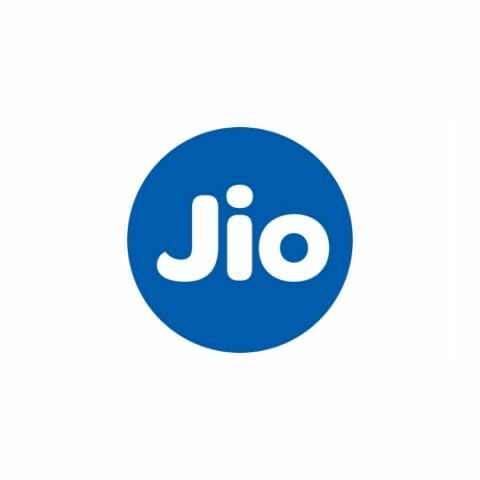 They will also get access to Jio’s suite of apps like JioTV, JioCinema, JioMusic, JioMags, and more. It should be noted that same as all other Jio plans, this recharge also offers unlimited data but at 64kbps after exhausting the high-speed data. Cumulatively, with this plan, users will get to avail 547.5GB of 4G data during the plan’s validity period. You can read more about this here. How to share a hard disk over internet for free?